Ok so firstly I apologise for my absence! These last couple of weeks have seemed like they were never-ending (not in a bad way) and there has been so much to sort out that I’ve not really known if I was coming or going most of the time. When you’re heading off for university that’s something to bear in mind. When I was in my first year I was the last of my group of friends to leave because Leicester’s term starts a bit later than a lot of other places. I was freaking out, and I wanted a blow by blow description of what all my friends had been doing to try and prepare me. What did I get? Nothing. When my friends first went to uni they basically disappeared for a couple of weeks, and their tagged photos on Facebook was the only sign that they were still alive. I could not understand it. And then I went to university and did the exact same thing. The first few weeks are usually jam packed with things to do. There’s Freshers, meeting new people, working out how everything works, trying to find a second for yourself, and it can be hard to find the time to sit down and have a good old chat with the people back home who are desperately worried about you and want to hear everything you’ve been doing. So if you’re the one at home sat waiting for news, remember that no news is usually good news. If you’re the one going away, maybe try and prepare people by saying you might be a bit distant for a while, but you will update then when you’ve settled in. Anyway, so what have I been up to? Well, I’ve been doing a German language course. It’s been so difficult but I’m also so glad I’m doing it, and not just because it’s helping me learn how to order all the delicious pastries they have over here. I’ve met such nice people on this course, and I really think that my experience here would be significantly different had I not met them. Just to let you know, Leicester does offer language courses, and that might be another opportunity for you to do something new and meet new people. It’s only one night a week so it’s not too time consuming. My course however is every day for several hours, and dragging myself out of bed at 7am has not been an easy challenge. It’s been a good way of filling the days though, and having some sort of routine has definitely been beneficial in a new place- something that might be worth trying to get into if you’re at a new place too. I’ve also been on a few trips. This is one of the best parts of being on a year abroad: finding your way around a new place. Not only have I been able to see the sights of Heidelberg, but I’ve been down the river on a tour boat to see a little village with four castles, and yesterday I went on a trip to a place called Mainz, where I finally got to see the Rhine. Next week I’ll have a couple of weeks off before lectures start and there are talks of visiting various places such as Stuttgart and Frankfurt. It’s so exciting. 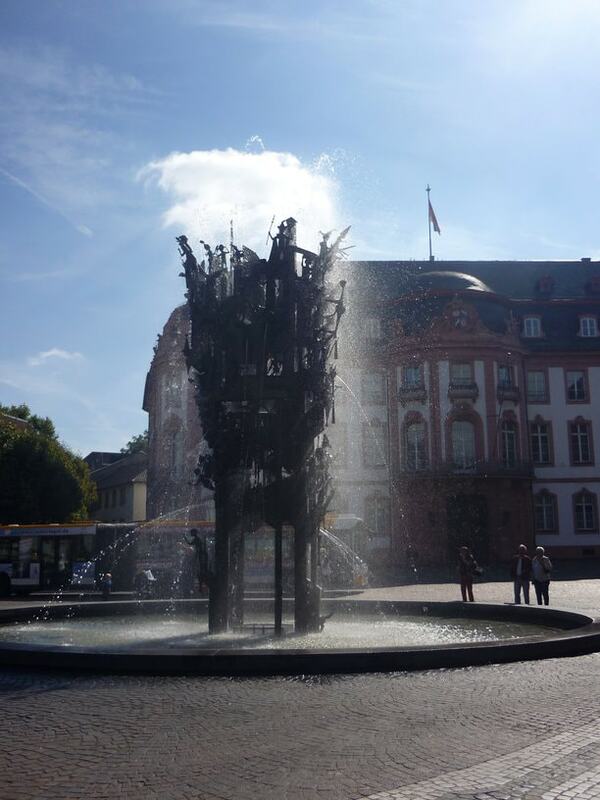 So for now I’ll leave you with a photo from the trip to Mainz, and I’ll be back soon.